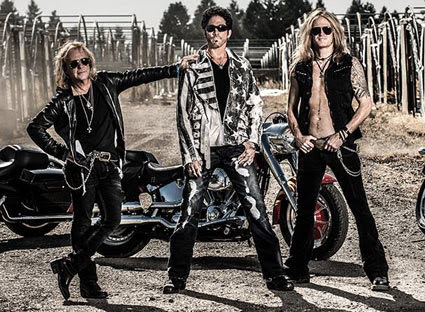 Deen Castronovo (JOURNEY, OZZY OSBOURNE, BAD ENGLISH, HARDLINE), Jack Blades (NIGHT RANGER, DAMN YANKEES, SHAW/BLADES) y Doug Aldrich (WHITESNAKE, DIO, BURNING RAIN) forman REVOLUTION SAINTS, un nuevo proyecto que recientemente completó la grabación de su álbum debut homónimo cuyo lanzamientos esta previsto para el 24 de febrero de 2015 a través de Frontiers. 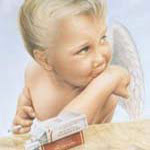 El CD fue producido por Alessandro Del Vecchio (HARDLINE). Revolution Saints estarán en Italia la próxima semana, para comenzar la grabación de su segundo disco con el productor Alessandro Del Vecchio, quien también produjo su álbum debut. 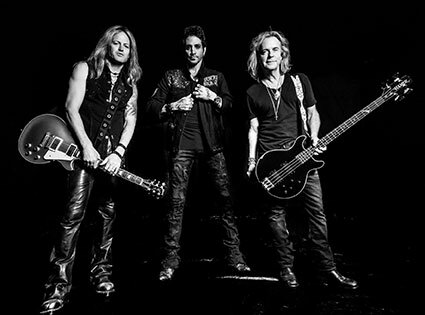 Deen Castronovo (ex Journey, Bad English), Doug Aldrich (The Dead Daisies, ex Whitesnake / David Coverdale, Ronnie James Dio) y Jack Blades (Night Ranger, Damn Yankees) grabarán los temas escritos por Doug y Alessandro entre finales de 2016 y principios de 2017. Entre las sesiones de grabación, Revolution Saints hará su debut oficial en vivo en el Frontiers Rock Festival de Trezzo (Milán, Italia) donde tocarán canciones de su primer álbum. La banda espera hacer más conciertos para promocionar el próximo álbum, cuyo lanzamiento está programado para principios de octubre. 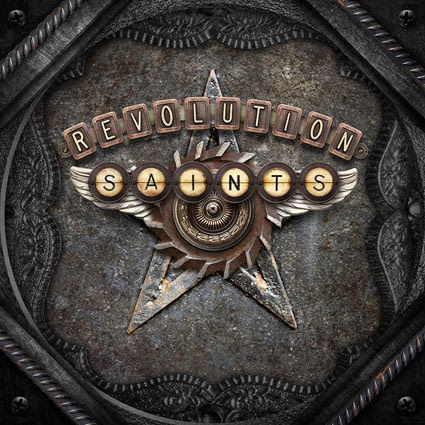 BREAKING NEWS: REVOLUTION SAINTS head into the studio next week in Italy to start the recording of their highly anticipated second record with producer Alessandro Del Vecchio, who also produced the debut album. Deen Castronovo (ex Journey, Bad English), Doug Aldrich (The Dead Daisies, ex Whitesnake/David Coverdale, Ronnie James Dio), and Jack Blades (Night Ranger, Damn Yankees) will record a scorching set of songs written by Doug and Alessandro between the end of 2016 and early 2017. In between recording sessions, Revolution Saints will make their official live debut at the Frontiers Rock Festival in Trezzo (Milan, Italy) where they will be performing a setlist of songs from their first album, plus a few surprises! The band hopes to do more shows to promote the forthcoming album, which is currently set for a release in early October. Revolution Saints han anunciado en su Twitter oficial que su sengudo disco saldrá a la venta el viernes 13 de octubre. REVOLUTION SAINTS: detalles y adelanto de su nuevo disco "Light in the Dark"
"Light in the Dark" el nuevo disco de Revolution Saints, esta previsto que salga a la venta el viernes 13 de octubre de 2017 a través de Frontiers Records. The album will be available on CD, CD/DVD Deluxe Edition (includes live bonus tracks on the CD and on the DVD, footage from the band’s first-ever live performance captured at Frontiers Rock Festival in Milan this past April, a “Making Of” mini-documentary, and music videos for “Light In The Dark” and “I Wouldn’t Change A Thing”), 180g Vinyl, and as a special Limited Edition Box Set (includes the Deluxe Edition CD/DVD, 180g Vinyl, T-shirt (size L), poster, lithograph and sticker). This time, with one album already under their belt, REVOLUTION SAINTS entered the studio to record the new album more familiar with one another and a clear understanding of where they wanted this to go. As with the first album, Castronovo’s superb vocal talents are in the spotlight on this release and deservedly so. Pretty impressive for a man who is most widely known for his incredible drumming talents. Jack Blades really needs no introduction at this point, but for those who have been living under a rock, his bass and vocal talents are well documented over the years through his work with Night Ranger, Damn Yankees, Shaw/Blades, and more. And, of course, a major feature is the fiery and intense playing from former Whitesnake/David Coverdale and Ronnie James Dio guitarist Doug Aldrich, whose blistering guitar fretwork is on full display here. To all of the loyal REVOLUTION SAINTS fans, prepare to have your patience rewarded beyond your wildest dreams with this album! Understand this clearly, REVOLUTION SAINTS is HERE TO STAY. 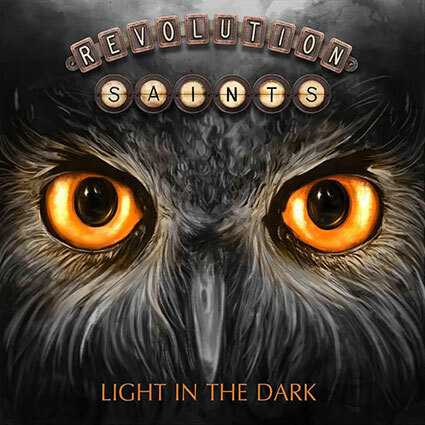 REVOLUTION SAINTS: nuevo tema "Freedom"